Product designers are a class of professionals that have been in demand from recruiters. The potential that a qualified product designer carries is sufficient to popularize the product and brand that he/she has worked on. To hire a product designer for chalking out the design and outlook of the next product or launch , is a common practice among firms. However, as we go for hiring a product designer there should be a mentality to hire an effective and efficient person. A product designer is a one who is able to generate a new product through the evolution and development of creative ideas intermingled with his knowledge and skills. He is someone who has the capability to add the USP to the company’s product line. Hence, he/she should be a master in his domain. To check such skill in job seekers who are to be hired as product designers, require domain knowledge and assessment abilities on the part of recruiters. Since the HR department of firms usually don’t have domain specific expertise, so companies outsource their hiring needs to professional recruiters for saving time and resources. Recruitment agencies with a compressive database of job seekers are in the best position to offer quality solutions. Alliance recruitment agency has brought some really qualified and skilled product designers at the dispense of its clients. We are one of the leading recruitment service providers in terms of domestic and International manpower recruitment. Alliance is a name that is a synonym for effective and efficient hiring solutions at the global level. We, have the distinction of serving top firms in countries like England, UAE, China, USA, Canada, Qatar, South Africa etc. With quality service delivery,we at Alliance have created a global network of professional and domain-specific recruiters. 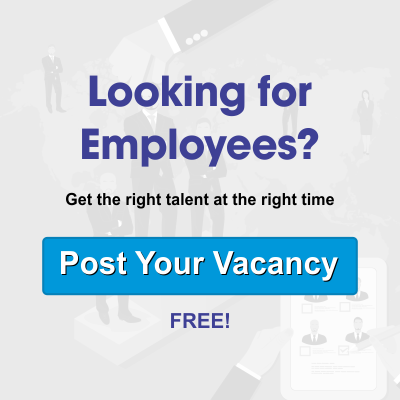 Employers looking to hire experienced product designers and Product designers with quality and skills looking for job opportunities can connect with us at www.alliancerecruitmentagency.com to get their needs registered.